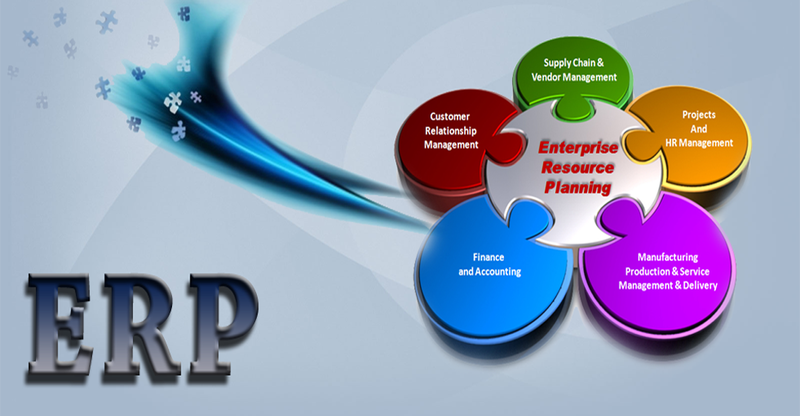 Enterprise resource planning (ERP) software systems provide integrated management of core business processes. While processes vary according to the industry, such as manufacturing, retail, and so on, the purpose of the ERP system remains the same: to integrate previously separate functions and automate routine transactions. 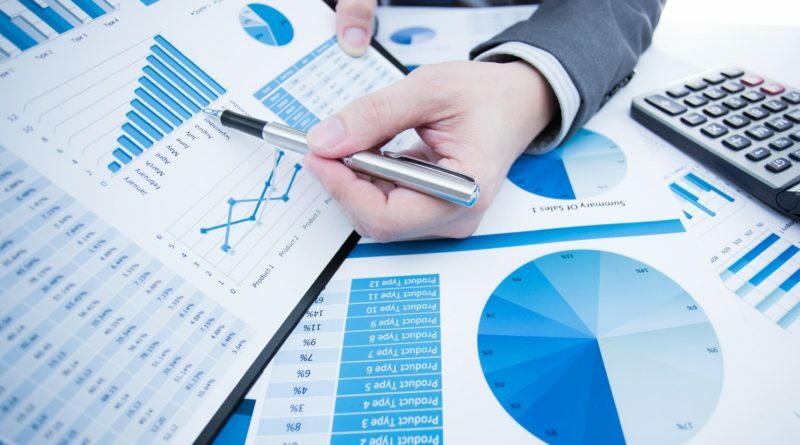 ERP systems typically support functions such as the management of sales, purchasing, manufacturing, quality, and inventory, human resources, and financials. The ERP system integrates with other enterprise software systems and automates business functions, thereby delivering benefits of increased productivity, improved efficiency, and cost savings. Beyond these primary benefits, companies can garner specific benefits depending on their situation. For businesses undergoing rapid growth or expanding to new locations, the right ERP system can help them scale and expand. For manufacturers, including small to midsized ones, an ERP system can optimize production and reduce operating costs. For businesses seeking to meet customers’ demands for custom or complex products, the right ERP solution can support their efforts by supporting such things as makerspaces and 3D printing, or simply through more effective inventory management to enable expanded product offerings. And for businesses operating in tightly regulated environments, such as food producers or pharmaceutical makers, the right ERP system can help maintain compliance with ever-strict and -changing regulations. For all the benefits of ERP software, it’s not uncommon for organizations to choose an ERP solution that’s inadequate for their business. It’s not a question of a system being good or bad overall—it’s all about the ERP system being able to support the needs of the business. For example, an ERP system that nicely supports the functions of a manufacturer could be a poor fit for an ecommerce retailer. Similarly, one that is fine for one ecommerce retailer, for example, may not be fine for another ecommerce retailer. Why do businesses choose ill-suited ERP systems? 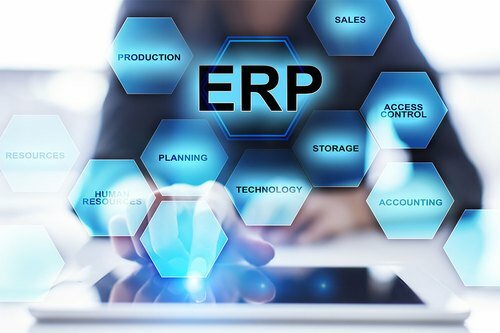 One reason is that the end users who will use the system extensively were not involved in, or even consulted, during the ERP software selection process. To choose an ERP system with the functions and features that support your business needs, you first must know what those needs are. In a highly regulated industry, for example, it makes sense to include someone from the compliance group on the ERP software selection team. Or, if the new ERP system needs to support the expansion of production lines or custom manufacturing, not including anyone from production and leaving the selection process entirely up to a top executive or the head of the information technology (IT) team can result in the selection of an ERP system that doesn’t include all the necessary features for production. Other reasons for ERP system failures can include choosing a system because you were impressed by flashy marketing and sales presentations. Remember that there is no best ERP system overall: it’s all about finding the one that best fits your specific business requirements. You can avoid falling for marketing hype by making sure you have a well-designed demonstration from each of the vendors of your top-choice ERP systems. This means that your company invites a shortlist of two to four ERP vendors to your premises and has each one demo their solution according to the specific script you’ve provided to them (and not according to how they want to present their product). This is like running a structured “interview” of top job candidates, all of whom your selection team requests that they answer the same questions and directly show how their ERP solution would support your particular requirements. With such a structured demo process, it is less likely a software vendor can simply focus on their ERP system’s strong points and gloss over any areas where their system might be unsuited. A lack of organizational or executive support can also be a reason for selecting the wrong ERP software solution. And underestimating the amount of employee training and organizational change management that will be required for successful adoption of the new ERP system can also lead to ERP software selection failure. Selecting the wrong implementation partner is another major stumbling block to avoid, because the success of even a well-matched ERP system depends on proper implementation. Implementation is a distinct process from the selection and purchase of an ERP system, with its own costs and time frames. It is also a critical process that can determine whether the right ERP system can fulfill your business needs. It is during implementation stage that all your company’s systems and data are integrated into the new ERP system. This is a delicate process, with various milestones and test phases. The implementation process demands that your existing data be treated very carefully (removing duplications and errors as well as ensuring it remains accessible) as it is being consolidated with the new ERP system. Given that ERP systems have been in use for decades, at least at larger companies, the software selection process itself has been refined over time to incorporate proven best practices. The first step involves assessing your business requirements, both in terms of what your organization is currently doing and also with an eye toward any strategic goals over the next few years. The process of gathering your business requirements can be made much easier by using a request for information (RFI) template for your type of business and industry, which lists all the features available from various ERP systems under each functional area. (Sometimes you may not even realize a certain feature is needed until you know it may be available.) Alternatively, an independent consultant, can help you to identify your business requirements and how crucial each is to support your business operations. So now your selection team has defined your organization’s business requirements across all your departments. The next step is to review the broad range of ERP systems available on the market and narrow down the candidates to a shortlist of somewhere between two and four competing solutions that look to be well suited to your business requirements. Factors such as industry specificity, pricing, and local service can play a big role in helping you arrive at the shortlist. How well do the functions and features of each ERP system match your business requirements? How flexible or scalable would each ERP system be in terms of your future needs? How easy is it to configure the ERP system? Even an ERP system that perfectly matches your business requirements may not successfully support your business. This is because you also need to get the necessary support from the vendor or a value-added reseller (VAR). 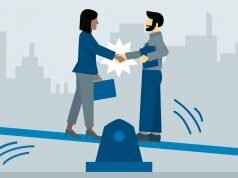 As you delve into the shortlisted ERP systems, consider what each vendor’s reputation and footprint are like. It’s also important to ask detailed questions of each vendor, especially during the scripted demos. Because most ERP systems, once implemented, are expected to serve for about a decade, or even more, it’s worth asking about each vendor’s research and development (R&D) roadmap. It’s likely an updated release will become available while your organization is using their ERP software system, so it’s helpful to know what is likely to be included in forthcoming releases. If a particular shortlisted ERP system is offered by a VAR (a valid offering) rather than the vendor, you may not get information about upcoming releases, but will help assess whether they will be a reliable and responsive service provider. In effect, your organization will be entering into a business relationship with the vendor or VAR that provides your EPR system, so your evaluation of them is an important consideration. No matter if it’s a vendor or a reseller representing each of the shortlisted ERP systems your team is evaluating, ask each of them for industry-specific references and then be sure to contact those references. 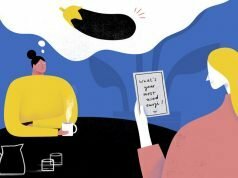 Speaking with actual customers of these shortlisted vendors, especially ones in your business area or a similar business as yours, will provide you with some valuable insights about their experience. This can go a long way toward helping you decide which ERP system to purchase. Selecting an ERP system, first and foremost, comes down to identifying the one that is best aligned with the needs of your business. 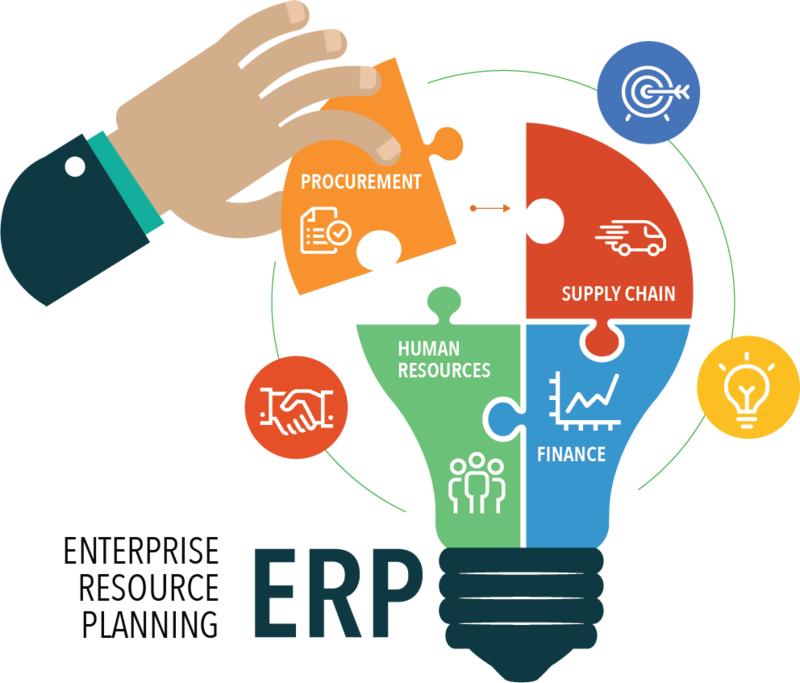 Beyond that, your selection team, and all the stakeholders for that matter, should agree that the ERP system to be purchased is a good fit. That includes agreeing on considerations such as the user interface, how readily configurable the system is, and whether it seems like the vendor or VAR will likely offer responsive service. 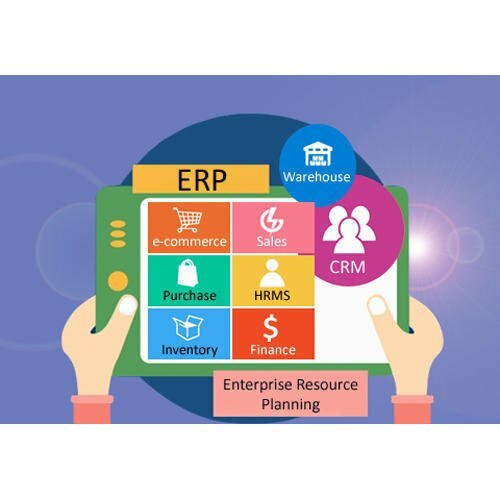 Having consensus on the ERP software selection decision will help ensure that the ERP system is accepted across the company and will facilitate user adoption. Remember that implementation of the ERP software solution is a separate process from the ERP software selection process. Implementation is associated with its own cost and timeline. So it’s vital to make sure the chosen ERP system is actually up and running properly. It’s also important that your employees are trained to use it properly and have the tech support they need to work efficiently rather than creating workarounds if they come across any issues. Selection and implementation of an ERP system are disruptive processes, so be sure your business is prepared to make an adequate commitment. If not, it is better to delay purchasing and implementing an ERP system because you cannot get a refund for the purchase cost of the new ERP system if the implementation fails. It is important to work with a good implementation partner to make sure the process is smooth and successful, just as you want to weigh the level of service and support you’ll receive from the vendor or VAR. Choosing the right implementation partner to make sure that final and critical step of the process is a success. Throughout all of these phases, there is help and guidance available should you need it. Consulting companies, specialize in software selection, and they offer various levels of resources and support to guide you throughout your software selection project. It is important, however, to make sure that any such consulting firm is independent of vendors. 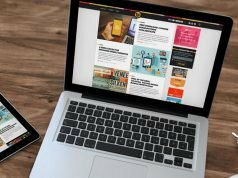 If the firm can sell you a particular brand or brands of ERP, it likely to recommend a system that it represents – and that may not be suitable for your business. There is no single ERP solution that is right for every organization. Be sure to take the time to find one that best fits your particular organization. Rapidly emerging technologies are broadening the set of tools that software developers can incorporate into new ERP software solutions to help ERP users achieve their business goals. The changes can include both automation to produce more efficient workflows, especially between silos or departments, or the incorporation of technologies to improve the user experience or provide highly useful data in real time. The future of ERP systems should see more enhanced technological features and the automation of more and more business processes as users work hand in hand with digital technologies to better perform their business functions, elevate their business to new standards, and outperform their competitors.